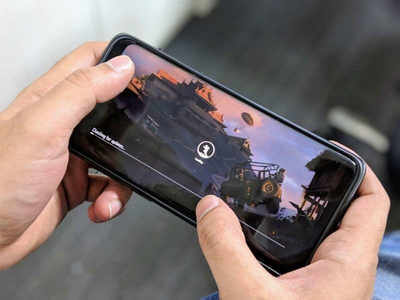 NEW DELHI: PUBG Mobile will turn one year-old on March 19 this year. The Tencent game, ever since it was introduced on the mobile platform in March 2018, has risen to become one of the most popular games in recent times, especially in the Asian subcontinent. PUBGMobile also posted on Twitteron the completion of one year. If you launch PUBG Mobile, you’ll see a revamped lobby with a different theme. The colours are all bright and vibrant. Since it is the first anniversary of the game, the lobby background displays a logo on a building saying “1st Anniversary” with the PUBG helmet in between the two words. While the overall layout has not been changed much, the colours sure have been changed to neon ones for a party-themed look. Also, the next joining screen that opens after the loading screen, shows a lot of decorations, streamers, balloons, gift packs and also a two-tiered 1st anniversary cake. And there is a new peppy music too to go along with. So, has PUBG Mobile got something for the players too? Yes, and that includes the Discount Fever offer that began from March 8 and will be on till March 14. Under this offer, players can buy anniversary exclusive items like anniversary parachute, Kar98K and PUBG Premium Crate Coupon. The parachute can be bought at 30 percent off, while the Kar98K and the crate both are available at 50 percent off. During the event, you can collect Anniversary Medals and exchange them for gift items like outfit boxes. Also, earning Royale Pass points every day during the event will get you certain rewards.